Who would have thought that I would end up competing in Finland..? I sure didn’t.. When I packed up to head to the first World Series event in Spain, I had planned to just attend the one Bilbao Race, and run a Schweitzer Surf Clinic in Spain at Barrika Surf Camp, and then head right back home. But, after winning the Bilbao event, Starboard asked me to stay on France…. After winning that one, I knew I had a shot at the European Cup Title so I really altered my plans RADICALLY, and decided to stay in Europe for the two months, to be able to do all the 7 European races, 5 of which were part of the European Cup Challenge. It has been amazing to be able to compete in a different country each weekend. Thankfully, my good friend Lurta who owns Barrika Surf Camp said I could make his home and camp my home base in Spain. So each week after competing, I fly back to the Basque country of Spain, and get to relax in comfort, eat healthy, sleep well, train a bit, and refresh to get ready for the next event. Barrika Surf Camp is amazing, and I really feel having a home base has added a great deal to my European experience. I had never been to Germany or Austria, Belgium or Finland so these were all new and exciting for me, even when I travel all over the world all the time! I met up with Didier Lafite at Helsinki Airport and we caught a ride with Milja to the event site 3 hours away in the beautiful country side on Lake Sieraviuori! On the drive there we saw a few big Moose, Deers, big rabbits, and Eagles. When arrived to the competition site it was close to 1am and the sun was just setting!! What a trip!! There’s still light in the sky at 2am and the sun will be rising shortly after around 4am… haha!! Thats a lot of time in the day to have fun! Finland especially was exciting getting to experience Sieravuori and the country lake side of Finland. Getting ready to go to Finland I thought it was going to be freezing, so I packed all the warmest clothes I had, but to my surprise I was in swim shorts and a t-shirt the whole trip! They said we got the best temperature Finland has to offer all year. We were lucky! Our first day here at the lake we explored around with the athletes and the Waterman League film crew, driving ATVs, skating the half pipe that was on site, wake boarding, banana boating, and jet skiing!!!! It was a blast, and the area here is amazing, with a thick forest and beautiful little islands scattered everywhere on the lake! 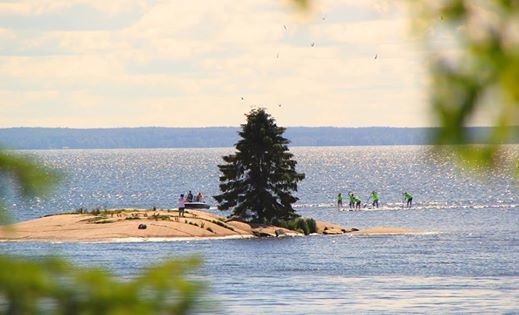 When I was younger my grandparents owned a summer house in Honey Harbor Canada, and this area reminded me so much of Honey Harbor, the same terrain, and set up on the lake with hundreds of mini islands and beautiful nature everywhere! This event was super important to me because if I won this one it will solidify my win for the European cup, since I won the first 2 events in Bilbao, Spain and Oleron, France!! So I knew if I won this one in Finland, then thats 3 out of 5!!! 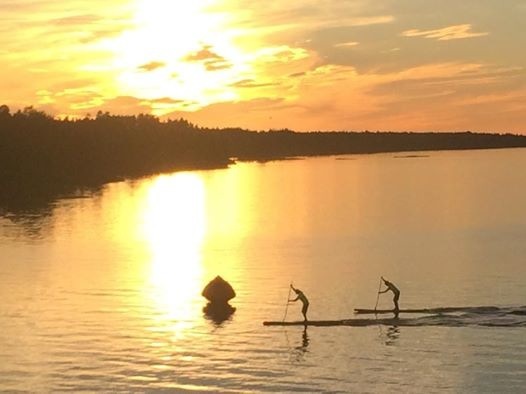 The first day of competition was the 16 kilometer distance race on the beautiful course on the lake, rounding small islands and paddling up and down the coast! 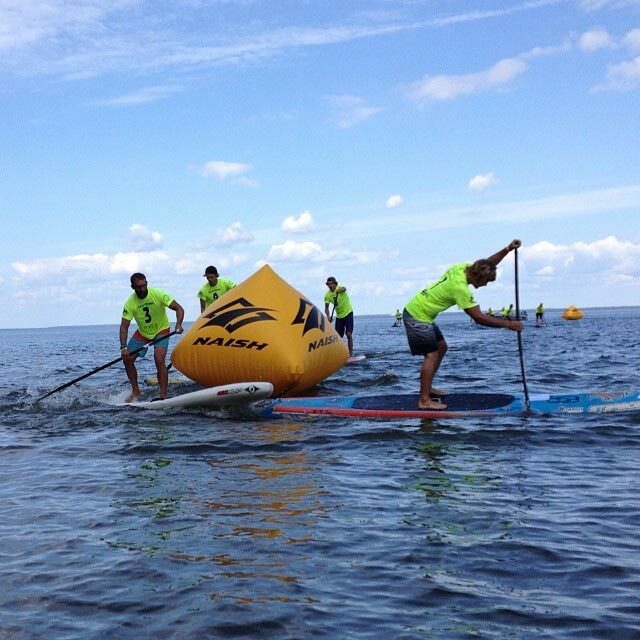 Leonard Nikka, Casper Steinfath and I were leading the pack most of the race and it was a gorgeous paddle, but it really turned into a serious race the last 3 kilometers when we all picked our pace for the win!!! I won the Distance Race and was super stoked, especially racing up against guys like Casper Steinfath, Leonard Nika, and Eric Terrien, who are all dangerous in both the sprints and distances! It was a good confidence booster for me coming into the sprints the day after!! The competition was very well run and put on by Jari and Didier Lafiete. It was very well organized and they had a lot of fun things going on at all times, even a midnight fun race! The sprint races were full on power paddling and really fun. Casper Steinfath, Leonard Nikka and Eric Terrain were in the top 4 most of the races along with Dylan Frick! At the end of the day Leonard Nikka won the sprints, I finished in 2nd place, and Casper and Eric tied for 3rd! 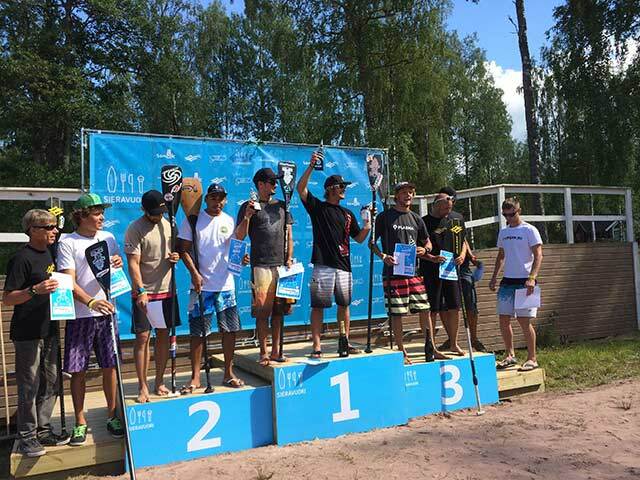 With these results it was confirmed that I was the Overall Champion of the Finland StandUp World Series event, which also means that I will be crowned the European Cup Overall Champion for the Stand Up World Series!! I am so stoked and now it’s time to celebrate a bit! Now back to Barrika Surf camp to train for Italy next weekend!!!! 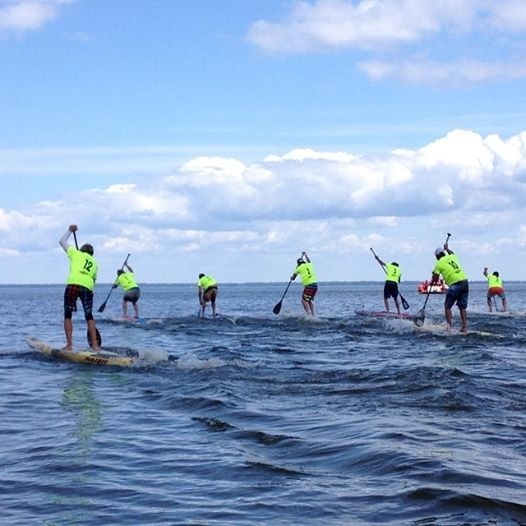 Innovate & Inspire and We’ll see you on the water!